Seventy five years ago this month the world got their first look at one of the most famous reporters in history, Lois Lane. The character made her debut, along side Superman, in Action Comics #1 which went on sale April 18, 1938. Lois Lane has long passed into pop culture as code for a sharp reporter and modern working woman. No wonder Tina Fey appeared as Lois on the cover of Rolling Stone when 30 Rock aired its last episode earlier this year. While some people may have been inspired by Woodward and Bernstein to go to Journalism school, I was probably more inspired by Margot Kidder playing Lois Lane in the Christopher Reeve Superman movies. But while these days I sit on the opposite side of the desk from Lois, there are still some things a PR professional can learn from her. Look hard, the real story may be right in front of you. Lois Lane and everyone around her never quite put together that Clark Kent was Superman. Does your product or client have a good story that you’re just not seeing? Is there another angle that might be a bigger story? Sometimes we get so wrapped up in one angle that we don’t stop to think, “is there something else going on here?” Ask yourself, does your client have a “secret identity”? Stunts may bring short-term results, but genuine interaction wins in the end. 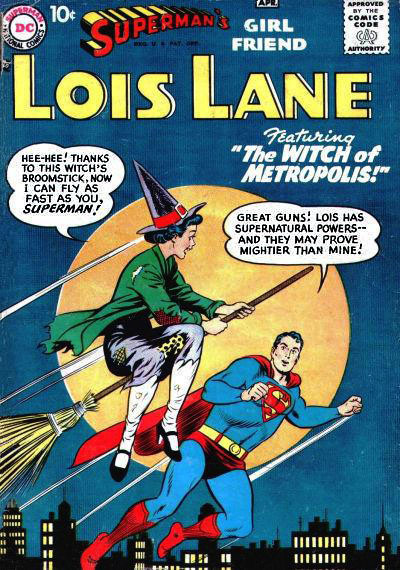 Lois Lane spent the 50s and 60s cooking up plot after plot to get Superman to marry her. 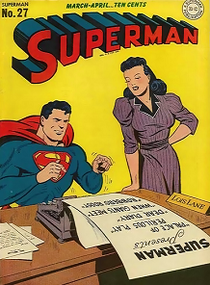 Later under new, modern writers Lois stopped chasing Superman, focused even more on her career and slowly built a relationship with Clark Kent. In time, he revealed his identity and the two were married. I’ve occasionally worked with clients on one-off events to provide a quick jolt of visibility and they have worked. But a steady stream of stunts won’t build a sustained program. In the end working with the media regularly by bringing them stories and news gets better result, than say, turning yourself into a witch. The media are busy, aren’t waiting for you to tell them your story and need to work their beats. 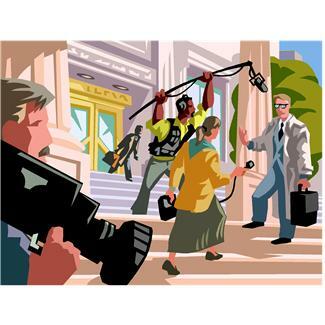 If you have ever seen Lois Lane in comics, TV or movies working a story you’d know this. But unfortunately it’s a reality that some PR people still need to be reminded of. The media want real news (And the announcement of your client winning “best of show” at an industry event? That’s most likely not it). They also want stories they can tie into their beats. And know that when you call them, email or Tweet them you are competing with lots of other PR folks to get their attention. So unless you have the reporter’s Kryptonite, spend some time learning what the blogger or reporter you are targeting has written and what angles on your client’s story fit their interests. Anything you’ve learned from Lois? Tumblr which calls itself “the easiest way to blog” has seen consistent growth over the last five years. It has surpassed WordPress as the top blogging platform hosting over 100 million blogs and 44 billion posts. While in comparison to sites such as Pinterest, Twitter and Facebook it has has a relatively small piece of the social media pie (about 6%) its growth cannot be ignored. The most recent QuantCast report shows that 144 million people visited the site in January with 51M of those from the United States. Digiday has some raw stats here. Tumblr is part content curation, part social and part blogging. Creating a Tumblr is incredibly easy – you can be up and running in minutes. Give them an email, pick a template and you’re ready to go. Here’s a good tutorial. On Tumblr you can post a variety of content – video, photos, text or combinations. It’s that ease of use that makes Tumblr a good choice for a blog. But the real value in Tumblr comes from its social aspects and shared content. Any post you make can be reblogged by another Tumblr and you can reblog any post from another Tumblr. The end result is that you have the ability to curate content from millions of post that relate to your Tumblr theme. And larger Tumblrs with hundreds of thousands of users can make your content go viral very quickly as seen with the “Binders Full of Women” Tumblr found during the election season. So with such an easy interface and a large, growing user base why don’t more people use it as part of their PR programs? Unfortunately Tumblr itself suffers from a bit of a PR problem. Despite its wide use and growth, it is still viewed as a playground young people where content mainly consists of GIFs and NSFW material. Here’s a look at some common misperceptions about Tumblr. The site definitely skews young, but a recent Quantcast report shows that 22% of users are between 35-54. The skew on male vs. female depends on where you look. Quantcast has 48 vs. 52 % while Comscore has males slightly ahead. So while there are a lot of young women using Tumblr that’s not the only demographic. There IS a lot of that on Tumblr. But there is a lot of other content that is far more substantial. Tumblr bloggers regularly publish longer thought pieces on a variety of topics. A quick look at Tumblr spotlight, which highlights high traffic or quality blogs, shows sites such diverse topics as parenting, developers, medicine and technology. Yes, they are on Facebook and Pinterest. But they are also on Tumblr. Here’s a good look at some of the brands including Coca Cola, Target and Sesame Street. And there are also some sub-brands of interest. For example IBM has IBMblr which highlights its technical innovation. My expertise is technology PR so I’ll note that two sites that cover technology, GigaOm and The Next Web, are on Tumblr. Tumblr is an easy way to expand the reach of your blog or content site and gain new readers or followers. Many media sites including the Boston Globe, NPR and the Los Angeles Times have Tumblrs that feed back to their web sites. And since Tumblr sites are indexed it also adds to your SEO. This is true is you are looking at the native Tumblr commenting system which requires and awkward “blog and reblog” system. But any Tumblr blog can support Disqus one of the fastest growing commenting systems. Tumblr is also readying a real time chat client from Babblr with some community features. This will enable brands and companies to have the type of real-time conversation that Twitter now enables. Tumblr may not be a good fit for every PR program but you may find there is more opportunity there than you once thought. Better than Chocolates or Flowers! 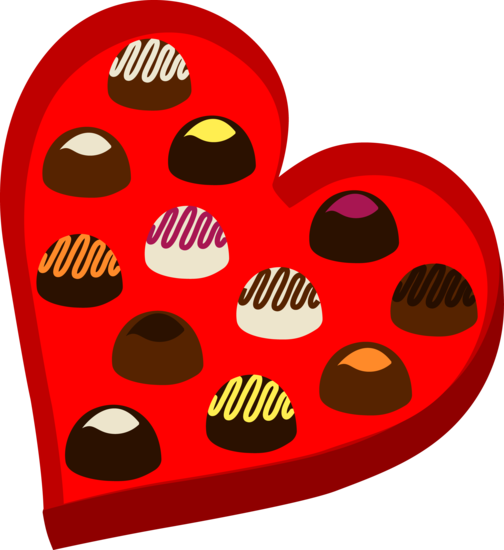 Give your PR Agency These for Valentine’s Day! On a day devoted to relationships, I have a few gifts for companies that want to get the most out of their relationship with their PR agency. Chocolate and flowers are always appreciated (as is food – clients that send a lunch after a big launch or placement are remembered for years) but here are some things that don’t cost a thing but will keep the flames alive between agency and client. Overshare. This is sometimes seen as a relationship killer but not here. By providing your agency with as much information as possible you can help to spark new ideas, campaigns and pitches. So tell them about what your sales people are hearing in meetings, tell them about the changes you’re considering making to the product, relay the conversation the CEO had with potential investors. You may not think there’s value in sharing this information but your agency will. Spend quality time together. You probably already meet with your agency for status meetings and you may even bring them in for quarterly planning sessions or for a major launch kick-offs. But when was the last time you brought the key people from your agency into just kick around ideas with your marketing team? I know budgets can be an issue but a good agency is interested in ways to keep a relationship fresh and the ideas flowing so they may work with you on this (a good agency may even recommend the meetings). Be open to trying new things. Your agency spends time (or should) evaluating new tools, looking at new angles and keep their pulse on the market. They should be coming to you with these and making recommendations. Most clients I’ve worked with are open to trying new things but I’ve also worked with small companies where they are already so stretched that changing anything about the program seems daunting. But listen to the ideas anyway. Not every one will be a fit; but someday one will be. And if you like the ideas but can’t do them right now, let the agency know that too. Let them know how you really feel. No client/agency relationship is perfect but the best ones have an open dialogue. You invested a lot in finding an agency and bringing them up to speed and it’s important that you let them know when things are going well and when they aren’t. 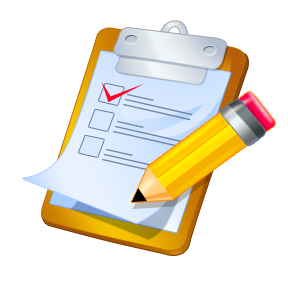 A good agency will be checking-in regularly but even in those cases there can be a cycle between the check-in and issues coming up. When that happens let the right person at the agency know your concerns and tell them what you need to fix it. Let’s face it, confrontation isn’t easy. But far better to bring up something before it leads to a break-up. The great thing about all of these “gifts” is they can be used for every holiday and for birthdays too. Do you have any to add to the list?